Where is fishing well right now? That is a question that I keep hearing whenever I go down on the beach, or to the tackle shop. To be honest February is normally a very poor month for shore fishing in Dorset, and this year is no different. So what can we do about it? We could sit around building rigs, waiting for the Plaice to show up in a few weeks, or we cold look at doing some freshwater or boat fishing. I am quite excited as I am out on a boat trip at the weekend and the long term forecast looks good. Apart from a couple of blips the wind looks pretty settled for most of the week. That will allow the see to finally calm down and hopefully start to clear up. 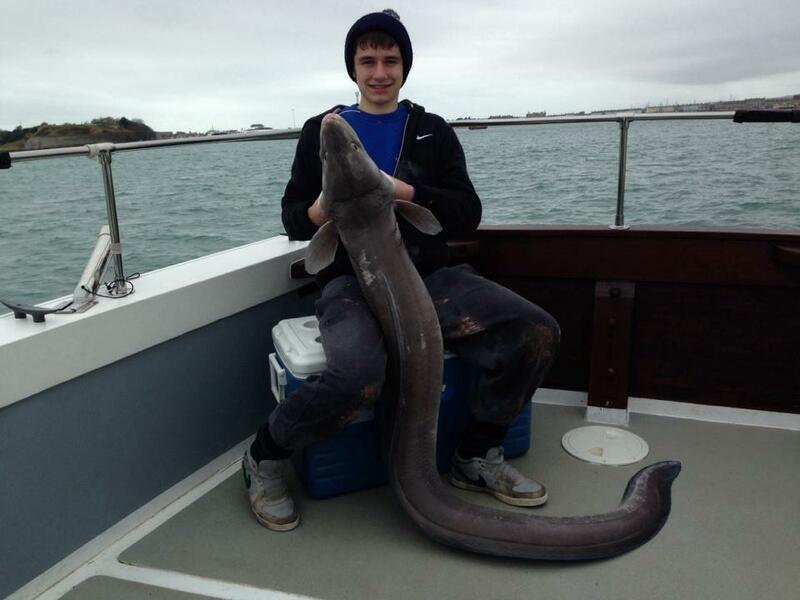 A couple of boats got out locally last week and Ryan Casey managed a very good reef caught Conger of 51lb. I have been making excuses for weeks now that have stopped me going Pike fishing. Mostly due to the weather, but I wish I had dragged myself out as Craig Allington did. 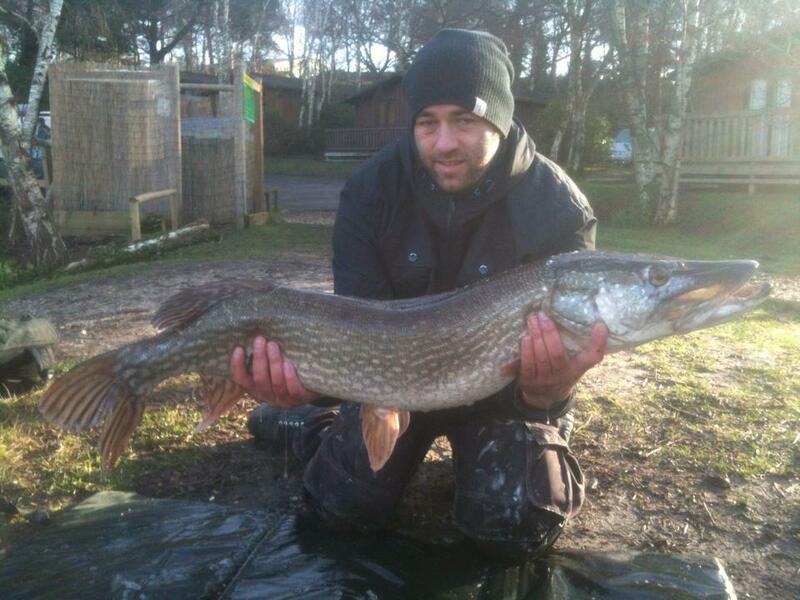 He landed this personal best Pike of 25lb. There are loads of good Pike fishing venues around Dorset including Radipole Lake, Warmwell and the rivers Frome and Stour. It certainly beets making up more fishing rigs. Chesil Beach: Rough with 2m waves. The water is heavily coloured. Chesil Beach forecast: The beach should start to calm down from this afternoon, and hopefully it will remain much calmer and clearer for the rest of the week. As hardly anyone is fishing the Ferrybridge end of the beach, I have no idea how it is fishing. A few more have been fishing towards Abbotsbury. Reports from that end of the beach say that the mainstay of the catches are made up of small Whiting and Rockling, with quite a few Dogfish at night. West Bay seems to be producing some Codling from the end of the pier, as well as some large Rockling and the odd Flounder. Portland: I am just waiting for the water to clear a bit more, then I am heading down to Portland Bill for my first lure fishing session this year. I will be targeting Pollock, that are normally around in good numbers in the winter. I often find that you get the bigger fish at this time of year. I may also have a go for some Wrasse, but I suspect that they will all have moved further offshore during the recent rough weather. They probably wont move back until towards the end of March. But I will let you know if they come back earlier. Portland Harbour: Even the Flounder fishing seems to have dried up in the harbour, but it is still worth trying along Hamm Beach, especially in the corner near Portland Marina. Weymouth Bay: I am not sure if the Stone Pier is still closed, but the Pleasure Pier is still producing Whiting, Flounder and Rockling, with a few Pollock showing at night. Preston Beach has gone very quite with just a few Pout, pin Whiting and Dogfish. Fishing Tails > All Articles > Reports > Chesil Beach > Where are the fish? 3 Responses to "Where are the fish?" Good news about the trawlers and their empty holds. Sean, as the plaice stayed so long on the beach do you think they will shorten the spawning cycle and return as per normal ?? I would expect a delayed return everything is out of synch I have horny frogs mating in garden pond already, one hard cold snap will finish off this years spawning. Nature is not responding to climate / season change. I don’t think the Plaice stayed longer than usual.They just move down the eastern end of the beach later in the season, before moving off some time in December to the spawning areas. They normally return in March, but last two years they were back much earlier. This year I expect to see the main return in March again.